Aluminium alloy fastener element with a large bearing area in the shape of a clover. It is ideal for applications with soft materials or those with a low resistance to pressure. 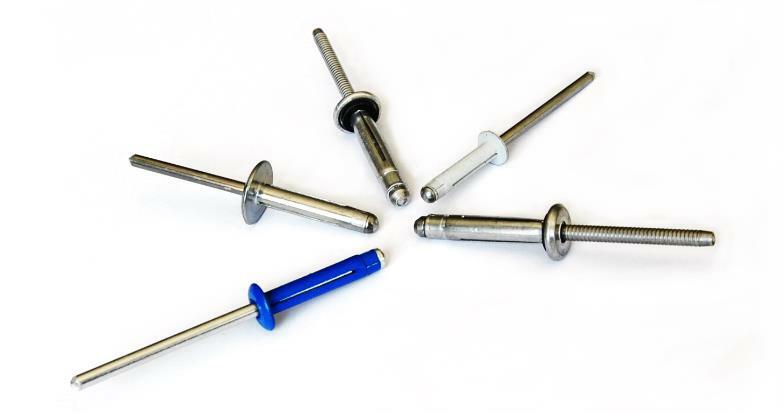 Bralo Trebol Rivet is a break-mandrel blind rivet designed for the fastening, in a fast and simple way, of rigid materials to soft or low resistance materials. This rivet is provided with a big counter head in the shape of three double parts offering a large contact area on the blind side. This large expansion on the blind side distributes the load and the clamping force, reducing the risk of crushing and the material breaking. The S-Trebol version provides additional resistance to both traction and shear and can be used in oversized drills because its expansion is adaptable. It also has a neoprene washer that provides excellent sealing results. The S-Trebol rivet has the DIBt approval (Deutsches Institut Für Bautechnic). The formation of a large counter-head in the shape of three double parts offers a large clamping area with a good distribution of the force on the blind side. Ideally used in applications involving soft or low resistance materials (plastic, fibre, wood). It can be used in oversized drills. Multi gripfeature. 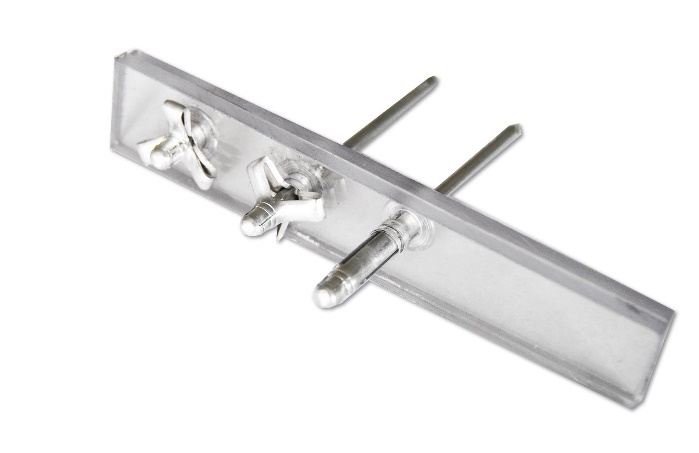 Just one size can be used to replace several standard rivets. It can be adapted to big variations in the grip ranges of the materials to be fixed. It covers a wide variety of grip ranges, from 0.8 mm to 16 mm. Mandrel locking system, avoiding electrical problems or pounding. Available in an aluminium alloy with a 2.5 and 3.0 Magnesium. Fast, reduced cost and high quality assembly. Heads: Dome and Large Heads.